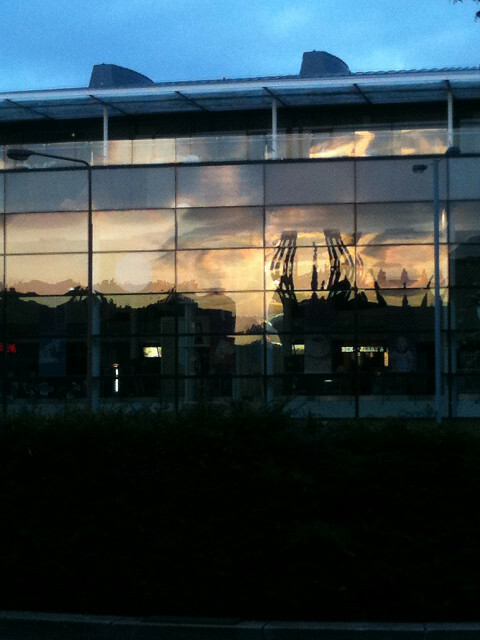 Warped reflection of the church at the top of Broughton street in the glass front of the Omni Centre at sunset. Lovely! Also, just prior to watching Captain America. What a deliciously wholesome hero he is!